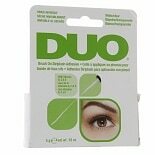 Shop Duo Eyelash Adhesive Clear-White (.25 oz. ).25 oz. 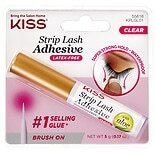 Shop Ardell Eyelash Adhesive Clear (.25 oz. ).25 oz. 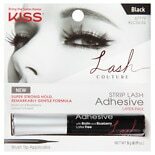 Shop Kiss Lash Couture Glue 02 Black (.18 oz. 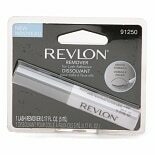 ).18 oz. 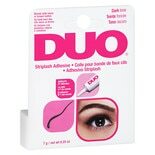 Shop Duo Brush on Striplash Adhesive White/ Clear (.18 oz. ).18 oz. 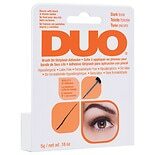 Shop Duo Striplash Adhesive Dark (.25 oz. ).25 oz. 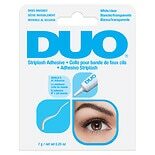 Shop Ardell Brush On Adhesive Dark (0 oz. )0 oz.